Lindy Hop is a partner dance that originated in 1920’s-1930’s in Harlem, NY and what we'd like to call the Original Swing Dance. 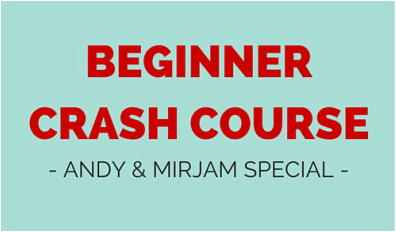 This Crash Course is an intensive weekend for absolute beginners and those who'd like to revisit their basics. 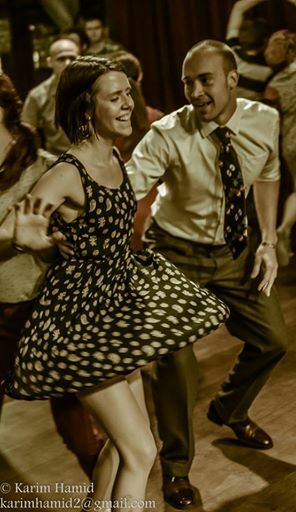 Andy fell in love with Lindy Hop in the Spring of 2013 at his first Lindy Hop workshop weekend. Andy is passionate about rhythms and open and clear leading. Over the years he has dabbled in Blues, Charleston, East Coast Swing, and most recently, Balboa. Andy now lives in New York City where he teaches on a regular basis. Mirjam started dancing Lindy Hop in a small town in Sweden 2006. Her biggest passion is social dancing and the follower’s ability to express themselves musically while maintaining a great connection in partner dancing. Mirjam teaches regularly in Stockholm and has recently started teaching internationally. In this crash course, we will go over the basic 8-count, charleston, and how to mix 6-count and 8-count together in your social dancing. The class will be focused on technique and connection on the social dance floor. To register for the Beginner's workshop, please fill in your details below.